In this article, we'll be looking at the Marketing Campaign for Assassin's Creed Origins, which has arguably been the strongest for an AC Product in many years. I've personally been very impressed with how Ubisoft have promoted the game, so this article will look at the highlights (good+bad). Another Tweet made it clear that the reveal would be at E3 2017, and that we could subscribe to Ubisoft US on Youtube to stay updated. 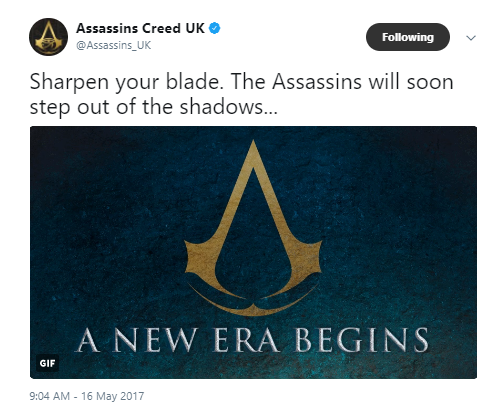 The reveal of the Yellow and Green Logo led to many members of the Assassin's Creed Community changing their Profile Picture. 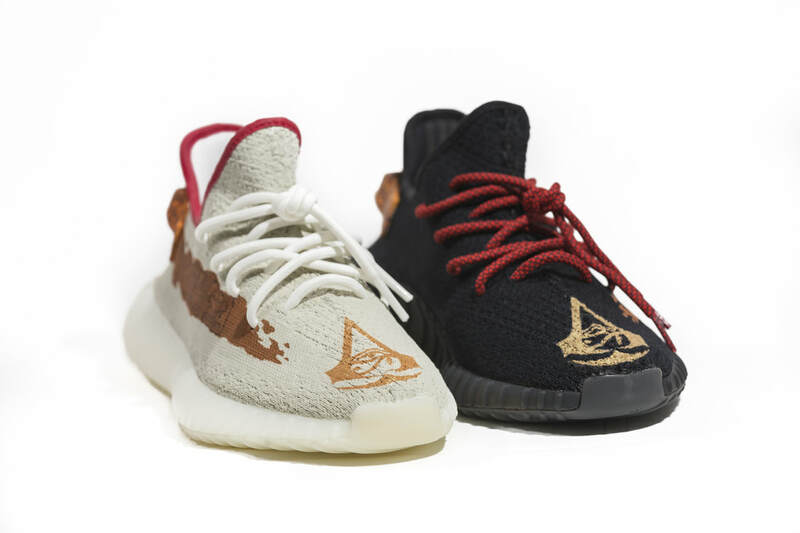 ​We here at The Ones Who Came Before recognised the hype around the image, and joined the trend. June 2017: Assassin's Creed Origins Officially Revealed at E3 2017. World Premiere Gameplay Trailer shown at the Microsoft Conference. Ubisoft Conference: Ashraf Ismail reveals that he is the Game Director on Assassin's Creed Origins, and that the game would be playable at the Ubisoft booth for those at the event. E3 Coliseum: Ashraf does a Walkthrough and Q+A. ​Assassin's Creed Origins wins the GamesRadar+ Best of E3 Award. June 11th 2017: Game Informer reveal on Social Media that the Cover for July issue will feature Assassin's Creed Origins. ​Media Outlets and Youtubers release Assassin's Creed Origins Gameplay videos (Captured at E3). Several Interviews with Assassin's Creed Origins Developers are uploaded by Youtubers and Media Outlets. June 13th: Gamescom release an article titled "Assassin's Creed Origins Hieroglyphics Image Apparently Hides Message"
Access the Animus (AC Fan Community) Translation: "We work in the dark to serve the light. Nothing is true, everything is permitted. Ra, protect me and grant me perpetual wealth. Help us possessing fertility along with remuneration. May no offspring escape their share of wealth. May you endlessly triumph and go forth." 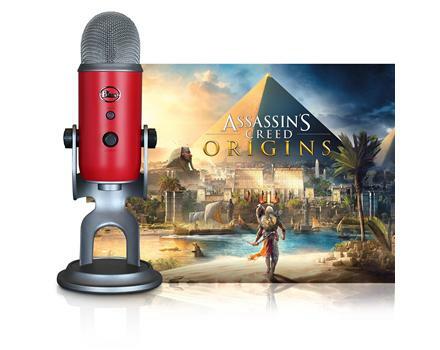 June 14th: Ubisoft Club reveal the first reward available to unlock in Assassin's Creed: Origins titled "The Sycamore"
June 17th 2017: Bleeding Cool release an article titled "Assassin’s Creed Takes Home The Prize For Most Talked About Game At E3"
17th June: Youtuber Centerstrain01 begins making videos on Assassin's Creed Origins. He now has over 50 videos on his channel featuring the game. 20th June: Assassin's Creed Origins: Dawn of the Creed Edition Sells out on all platforms at the Ubisoft Store! 27th June 2017: Cosplayer Leon Chiro announces that he is creating a Bayek costume. 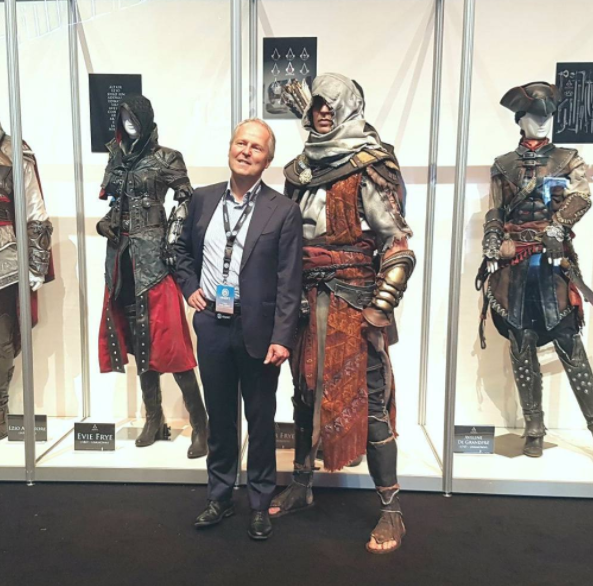 ​He would later wear the costume at several events where Assassin's Creed Origins was present. 4th July 2017: French Magazine "The Game" reveal the cover for issue 19, designed by Gonzalo Ordonez Arias. Assassin's Creed Origins Comic Book Series. 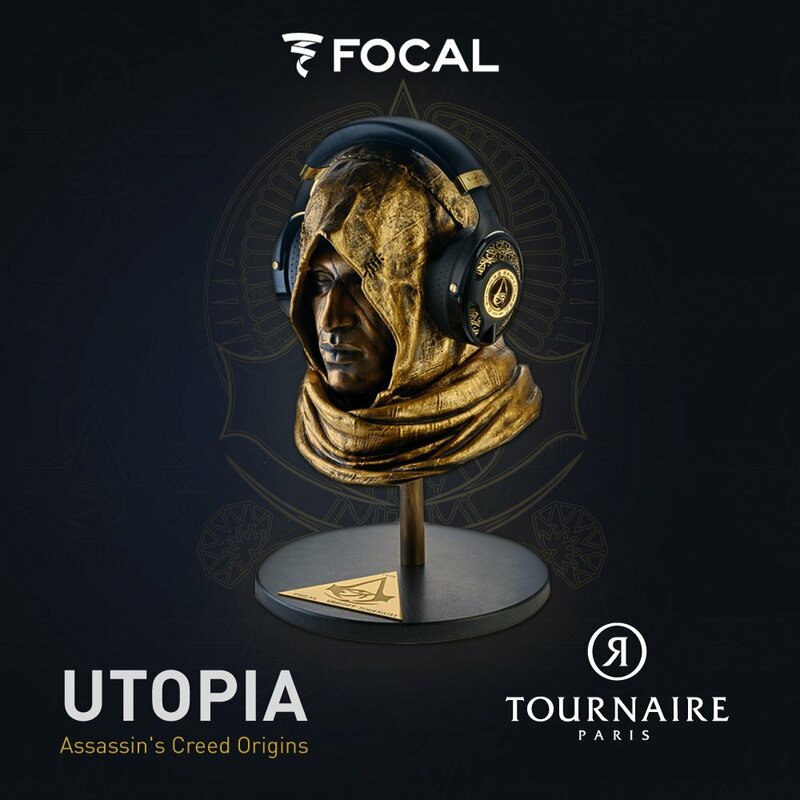 8th July: Assassin's Creed France host a Bayek Cosplay Contest, with a replica shield as one of the prizes! 17th July 2017: Ubisoft announce a Community Creation Contest. 31st July: Cosplayer Rick Boer and RBF Productions announce on Instagram that they are creating a Bayek Costume. ​Rick would later wear the costume at several events, including Gamescom and PAX West. 31st July 2017: Loot Wear reveal that Assassin's Creed Origins is the featured franchise for August. The item turned out to be an Assassin's Creed Origins Hoodie. 11th August 2017: Ubisoft release The Codex Ep. 6: Assassin's Creed Origins Dev Interviews, Community Programs, & Fan Creations! 17th August: Ubisoft released the first episode of a series titled "Dev Q&A", featuring Game Director Ashraf Ismail, and focussing on Combat. 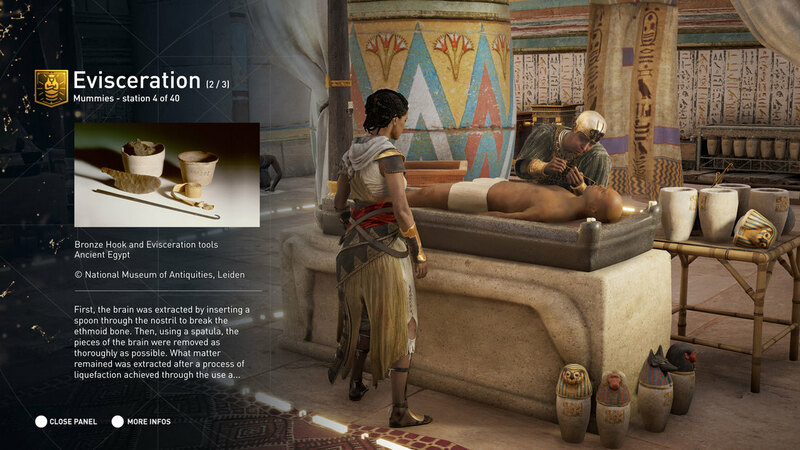 ​Ubisoft released a wealth of new information and images for Assassin's Creed Origins. Those who attended the event could play the game at the Ubisoft Booth, and even read the first chapter of Desert Oath. Gamescom also introduced fans to Bayek's wife, Aya, who appears to be highly popular within the AC Community already! 22nd August 2017: Another Trailer for Assassin's Creed Origins was released at Gamescom, this time titled "Game of Power Gameplay Trailer". 27th August 2017: Assassin's Creed Origins was playable at GameStop Expo 2017. 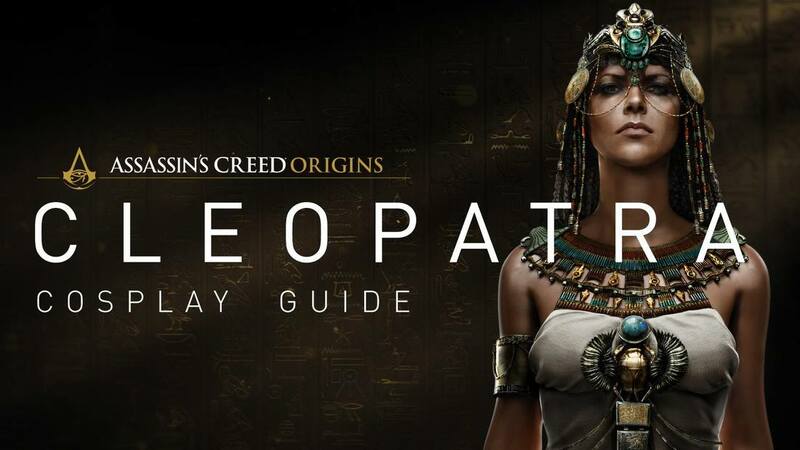 28th August 2017: Cleopatra Cosplay Guide released by Ubisoft. 31st August: Assassin's Creed and Monster Energy Collaboration announced. "​Starting September 1, purchasing collectible Assassin's Creed Origins co-branded Monster Energy 24-ounce cans, 4-packs, or 10-packs will get you a code that you can redeem for in-game cash, animal or world resources for crafting, or even one of four exclusive weapons you won't find during normal play: the Dust Biter sword, the blunt Face-Breaker, the Scepter of Thaati, or the Rain Bow (a predator bow with a first-person viewpoint that makes it ideal for sniping). See all the weapons you can unlock below. Codes can be redeemed at www.MonsterEnergy.com/AssassinsCreed by logging in with your Ubisoft Club account." Information from Gamespot: "More than 500 million Monster Energy drink cans globally will carry Assassin's Creed: Origins branding, with the cans starting to show up in stores now. This makes it one of Ubisoft's largest retail promotion partnerships ever"
1st-4th September 2017: PAX West 2017. 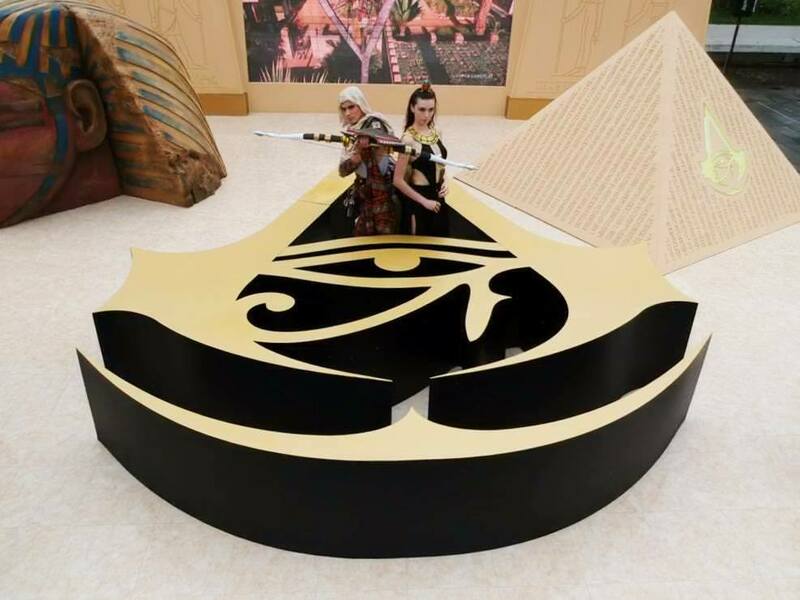 Assassin's Creed Origins was playable at the event, and several interviews with Ashraf Ismail were released. 6th September 2017: Assassin's Creed Origins: Community Wrap Up video released. 13th September: Ubisoft released several creepy promo videos highlighting the antagonists of the game, "The Order of the Ancients"
26th September: Episode 2 of the "Dev Q&A" series was released, this time featuring Associate Narrative Director Matthew Zagurak. 27th September: Ubisoft announce an upcoming program titled "The Hieroglyphics Initiative" to help Egyptologists with their work! "As announced at the launch of The Hieroglyphics Initiative on 27th September 2017, we have begun compiling data, developing tools and reaching out to the academic community for collaboration partners. Our aim is to release the first results by the end of the year, at which point we will open up the project data and technology to everyone." "Ubisoft is introducing something called the “Discovery Tour” to Assassin's Creed Origins, a free mode that eliminates all combat from the game, and really any central story components whatsoever. Instead, it will be a walking (and climbing) tour of Ancient Egypt used simply for educational purposes. 10th October 2017: Post-Launch and Season Pass Content Trailer released. Photo Mode was also revealed! 11th October: Several Media Outlets and Youtubers begin reporting on a controversial Gamestop Advert for Assassin's Creed Origins, creating an online backlash. Although the ad was intended to come across as a joke, it was actually harmful to the marketing campaign. I also noticed a number of people online declaring that they would never again pre-order a video game from Gamestop, and others making it clear that they would not be pre-ordering Assassin's Creed Origins. 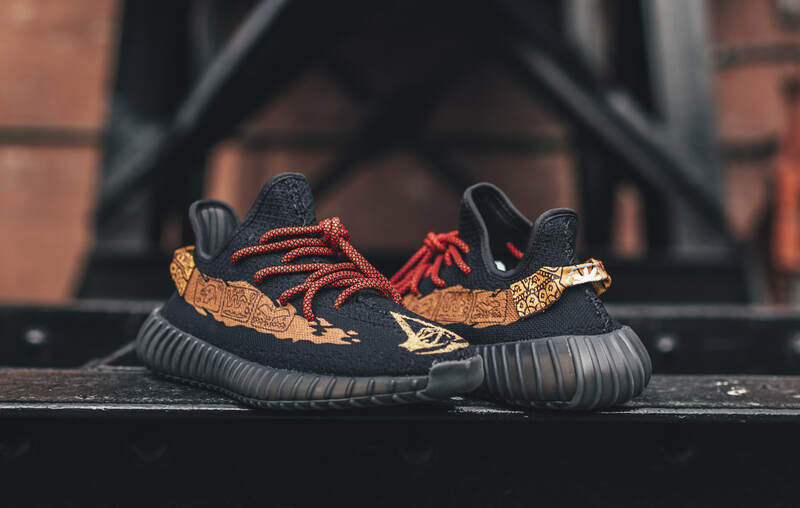 17th October 2017: Ubisoft have announced a new partnership with Carmeno Custom Kicks, and the creation of Limited Edition Assassin's Creed Yeezys. 20th October: Partnership between Twitch and Ubisoft revealed at TwitchCon 2017. 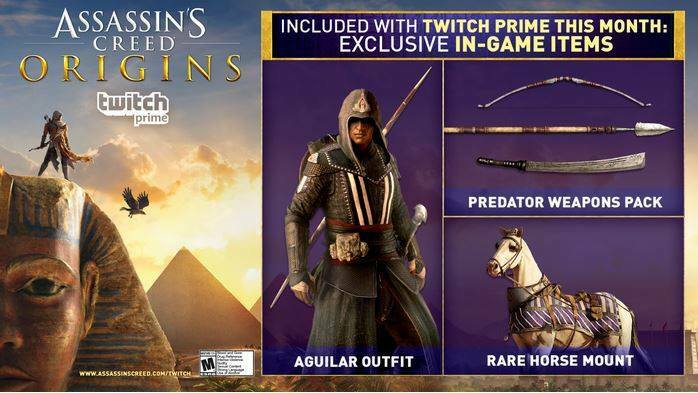 "From October 27th through December 31st, Twitch Prime members get exclusive in-game loot in Assassin’s Creed Origins!" 21st October: Promo video for Assassin's Creed Origins by Guillaume Pley. 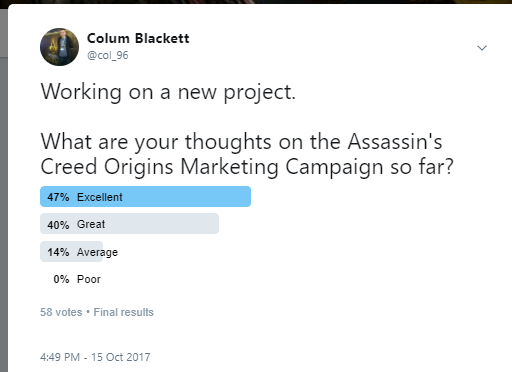 I personally think that Ubisoft have conducted a strong marketing campaign overall for Assassin's Creed Origins, focussing heavily on Community Feedback (Game Playable at events, Youtubers), and lots of Trailers showcasing the game, giving potential buyers the chance to see and even play the game from the beginning of the campaign. I recently asked my Twitter followers what they thought of the Marketing Campaign. Lots of Trailers and Gameplay. Using Social Media Channels to build hype from an early stage. Many Interviews with people working on the game. Focus on Education: "Discovery Mode"and "The Hieroglyphics Initiative"
Hidden messages within Hieroglyphics to be decoded. Trailer Timing: Some weeks we literally had a new trailer every few days, could have been spaced out better. No reveal trailer for Aya, revealed in Gameplay videos and screenshots. 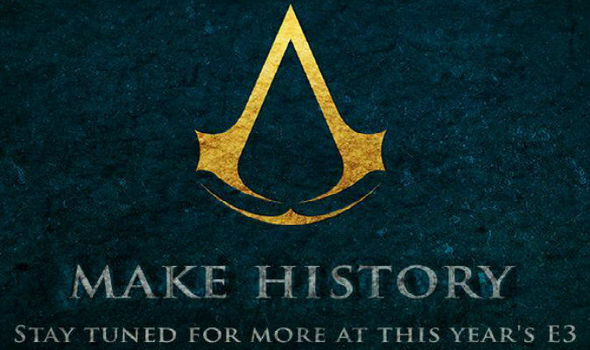 Select AC Community Members had access to information on Origins before others, leading to "teasing" on social media. ​ Let me know your thoughts on the Marketing Campaign, and which aspect was your favourite overall!